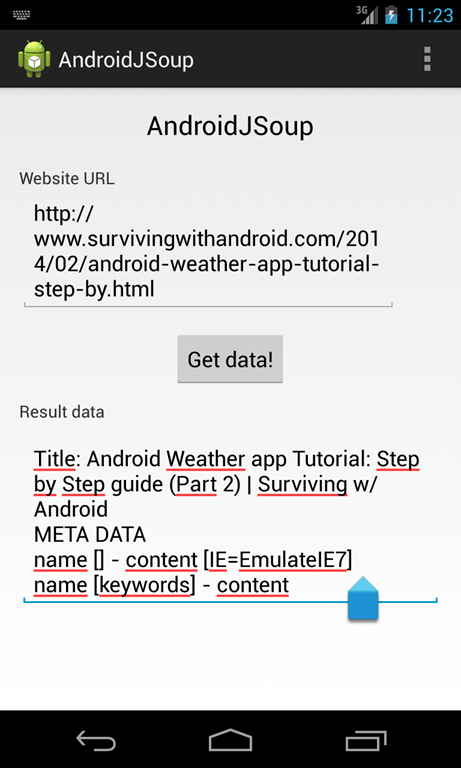 This post describes how to use JSoup in Android to parse HTML. JSoup is a Java library that helps us to extract and manipulate HTML file. 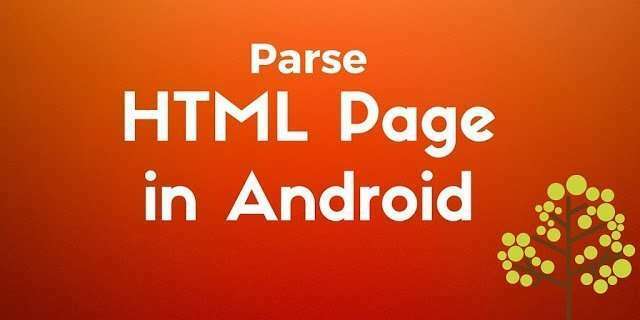 Using this library we can parse HTML pages in Android. There are some situations when we want to parse and extract information from an HTML page instead of rendering it. In this case, we can integrate JSoup with Android because it has a set of powerful API very easy to use. In this post, we will discuss how to set up an Android project that uses JSoup and how to extract information from an HTML page developing an Android app. where doc is an instance of Document class that holds the document retrieved. Now we have our representation of the document and we are free to extract information. We can retrieve the title or other information using the HTML tags. where we select just the h2 tag having a class named topic. If you want to have more information follow this link. Now we are ready to use JSoup API and parsing HTML. The first thing to have in mind is that we are calling a remote website, so we can’t use our JSoup API in the main thread otherwise we could have ANR problems, so in this example, we will use an AsyncTask. Analyzing this class at line 8 we connect to the remote URL and get the DOM representation of the HTML page. Then at line 11, we retrieve the page title. Using the information about JSoup introduced above, we start selecting the meta tags using the select method (line 16). We know there are several meta tags so we iterate over them and retrieve name and content attribute (line 19-20). In the last part, we select all the HTML tags having a class equals to topic and iterate over it extracting the text content. At the end of this tutorial, hopefully, you know how to develop an Android app integrated with Jsoup to parse HTML pages. This is just what I’m looking for! i am using Eclipse , How to Setup and Integrate Jsoup . Please help ..
You can simple add Jsoup library to eclipse importing the lib into your project. How to retrieve all the html and allow only tags that I want? how to replace with your code please?